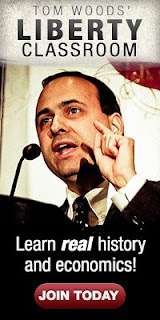 Last week, I joined Tom Woods's Liberty Classroom, and boy am I impressed! The Internet has provided an end-around the cratering government-controlled education system, and Liberty Classroom has joined those that are leading the way. 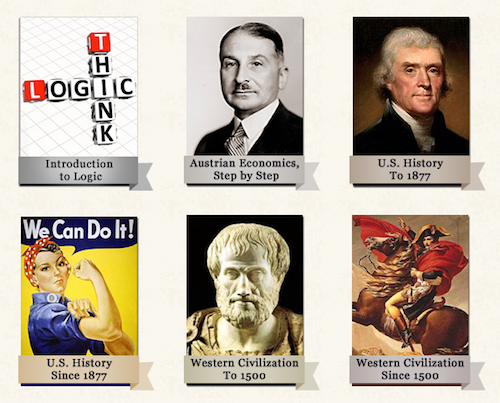 You can now learn, in a teacher/student type setting, the history & economics that the government didn't teach you. My weak spot is Western Civilization To 1500, so I started there. All of the lectures can be downloaded (both audio and video) and listened to at your own convenience. And as you're listening, you can almost tangibly feel that you're getting the good stuff; that there isn't a bureaucratic Board of Education overseeing what you're being taught. Tom Woods, and his great staff of instructors, also conduct live sessions for members; and there's also a great forum to discuss any questions that you may want answered. 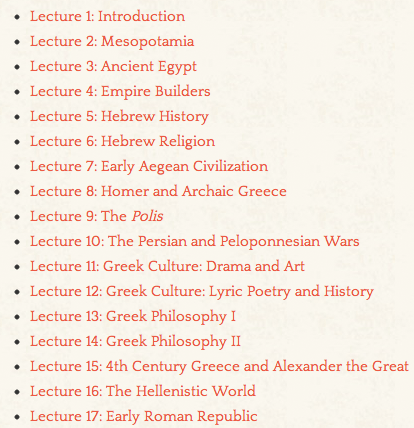 And more courses are on the way as well! I'm extremely impressed with what Tom Woods has accomplished so far. I only wish I would have joined even sooner. 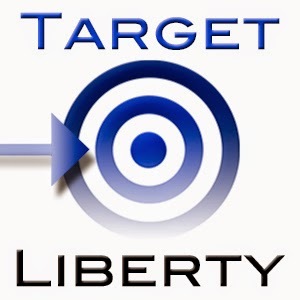 Break out of the mold that government has created for you, and join Liberty Classroom today! 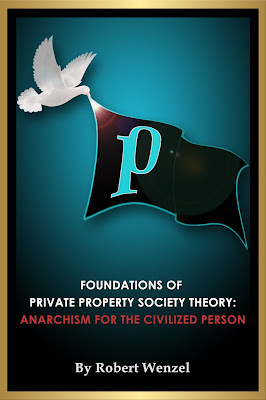 Disclosure: EPJ is a sales affiliate of Liberty Classroom. I love Liberty Classroom. My only complaint would be to see more in depth history and discussion on certain topics such as Lincoln and such, but I hear that could be coming as well. Count me as a happy consumer...er...student! I'm halfway through Jason's excellent history course and I've sampled Gerard Casey's logic course and can't wait to wade into THAT puppy! I also cannot say enough great things about Liberty Classroom! I joined about 8 months ago and can't get enough of the classes. I highly recommend it to everyone. And don't forget Tom Wood's incentive plan where you get some money if you get someone to join. Chris Rossini has listed all the classes with more to come. If you're thinking about joining now is the time...and don't forget to mention my name, when joining, if you're so inclined. You won't regret your decision and it would make a great Christmas gift for anyone. Subscribing since last month and I'm really impressed by the quality of the lectures, especially Brion McClanahan. Looking forward to new content and I hope Tom will bring on Thomas DiLorenzo on the team to provide some lectures on the real Abraham Lincoln.